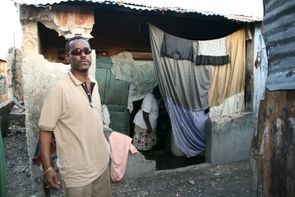 The evolution of poverty in Haiti was heightened by major events such as the most recent 2010 earthquake and many more to follow like: Hurricane Matthew, Hurricane Thomas, the cholera epidemic and many more. All of these three events in Haiti have led to the formation of a vicious circle of increased vulnerability, mainly in the poorest sectors of the population. 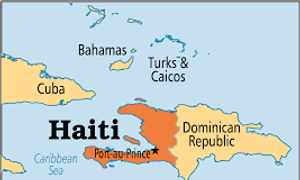 Haiti remains extremely vulnerable to natural disasters with 96 percent of the population at risk. Haiti is a resilient society whose rural communities in particular have developed coping mechanisms in response to a long history of underdevelopment and political instability. The country’s religious, cultural, and artistic life is highly diverse and vibrant. Like other fragile states, however, Haiti is also beset by widespread poverty and inequality, economic decline and unemployment, poor governance, and violence. c- The agendas and strategies of political actors. In such fragile environments, the design and timing of international development assistance can play a critical role in addressing the root causes of conflict. OPERATION HOPE PROJECTS should be considered as relevant by communities as by the authorities as they will respond to a specific need for the well-being of a population at high risk of epidemic scourges, due to the lack of services, the lack of access routes and its precarious socio-economic situation. Between 2018 and 2022, it is Operation Hope’s mission to launch aggressively a NATIONAL MOBILE CLINIC PROGRAM and a COMMUNITY HOUSING PROJECT to initially attend to the basic need of a population in distress. The main goals of these projects, is to ensure access to quality services within the locality by giving the members of these localities the capacity of autonomy for the purchase of goods and services through a practice of knowledge, responsibility for their well-being. The communities will have to be able to make the observation of their situation of isolation and to reflect together on concrete solutions allowing them to make the best profits of their habitat. This reflection should enable them to undertake prevention and awareness activities to improve their understanding of their housing environment, their water, hygiene and sanitation and production behaviors. The duration of the project will be 5 years. It will be executed by Operation Hope in close collaboration with other sector-based Ministries. Technical and Operational support leading to the delivery of the proposed outputs will be provided by CIG Group S.A., operating at central and regional levels. Operation Hope estimates with the right support, it will be able to directly reach 200,000 families with an average of 7 members per family with a total of 1,400,000 direct beneficiaries within a period of 5 years. Haiti’s social resilience and social capital, its vibrant cultural life and improvements in social indicators are keystones to draw upon in breaking the conflict-poverty trap. Haiti’s deep and widespread poverty results from a long history of failure to establish even basic enabling conditions for broad-based social and economic development. Operation Hope Sustainable Family Community Development Project and a National Mobile Clinic Program address simultaneously the issues of health, ecology, economy and all the basic aspects a human should expect to live. Back to School this October 2018, contrarily to the past few years will be more stringent on several families living under unimaginable financial constraints but yet with a priority very well understood to send their children to school. SHOES, SNEAKERS AND SOCKS ETC. Cash donations can be directly donated online by visiting our webpage at: www.operationhopeforchildren.org by clicking the Donate button and follow the instructions. Donate from $1.00 to $25.00 as your heart dictates. Thanks to all of you who have assisted us in the past with your thoughtful in-kind giving or volunteering with us. We thank you all today wholeheartedly for your generous and loving consideration in helping Operation Hope for Children of Haiti create a miracle. The demoralizing storm wiped many towns and villages in Haiti where this island country once again is faced at the mercy of international help if not arrived promptly and if not provided with accountability so Haiti once again does not become the Gold Rush it has been for over 100 years. It has been reported that the storm may have killed nearly 1000 people within four departments of the country. This number appears to be very incongruous to what is being reported by local (on site) Haitian government representatives with at least over one million people needing emergency aid. Yes indeed, Haiti is once again facing one crisis after another one that requires a substantial and immediate response from the Haitian Government which unfortunately as of today is not ready to take care of its own even partially and again, unfortunately has to rely on the international community. This powerful storm has leveled many homes and to some extent reminds me of the 2010 powerful earthquake. It looks that we did not learn as a country and the people continues to build in uninviting conditions for ultimate destruction. Nevertheless, the people are distressed face at this present condition. The question is what do we do as a community, individual or organized NGOs? Operation Hope for Children of Haiti - OHFCOH, is joining many other organizations to send a SOS in the attempt to rescue and help over 300,000 children that may have been affected by Hurricane Matthew. Operation Hope for Children of Haiti - OHFCOH is asking all its volunteers from Haiti, the US and all around the world to join hands with us in what we do best: Helping people in needs. 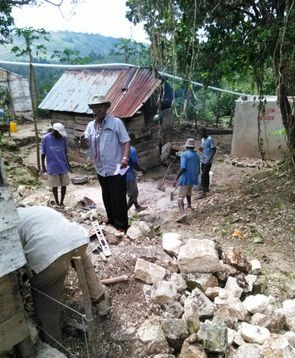 In the meantime, a small team of six Operation Hope Volunteers have responded to some affected communities providing medical assistance and help in minor reconstructions and fixing damaged foundations and roof tops. It is small however, very rewarding. We would like to take this opportunity to thank our friends from around the world who have called and offered their assistance that is truly needed and that for at least the next three months. We will also take this opportunity to thank Victory World Church Missions for their continuous and unconditional support to Haiti in normal time and in time of emergencies. God Bless Haiti and its friends around the world. Face à la situation tragique dans laquelle se trouvent nos frères en République Dominicaine, il nous est impossible de rester comme simple observateurs. Ainsi dans un souci patriotique en vue de porter un appui considérable dans le cadre de leur rapatriement, Operation Hope For Children Of Haiti, sous la direction de Dr. Paul Edouard Eddy Delaleu, Président/Fondateur depuis 1994, en tant qu’autorité civile veut agir immédiatement en portant son soutien au gouvernement en ce sens dans la prise en charge d’au moins 50,000 de nos compatriotes suivant un rythme de 10,000 néanmoins avec les supports logistiques sur place pouvant faciliter la rotation des entrées et sorties du VILLAGE HOPE vers une réinsertion familiale ou sociale des rapatriés. Nous disposons les ressources humaines haïtiennes et étrangères telles que : médecins, infirmières, psychologues, sociologues, travailleurs sociaux, traducteurs, etc. pouvant prêter mains fortes à cette entreprise patriotique et humanitaire et quelques moyens logistiques tels que: autobus, camions, et des tentes pouvant approprier au minimum 20 individus etc. Dans l’attente d’une réponse faisant suite à notre demande d’espaces inoccupés et accessibles d’au moins de 300 hectares de terre au prés du directeur de la Direction Générale des Impôts (DGI) en date du 19 Juin 2015, nous continuons à avancer avec un plan de contingence dans le but de recevoir nos compatriotes Haïtiens et Haïtiens-Dominicains dans des conditions humainement acceptables. Ces espaces faciliteraient la préparation acceptable d’un plan d’urgence d’urbanisation temporaire soit du coté de Canaan, du coté de Mòn Kabrit ou du coté de Fonds Parisiens pouvant accommoder ces familles psychologiquement frappées par cette déportation qui peut entrainer des conséquences néfastes sur le reste de la population si nous restons comme simples spectateurs. Avec l’aide de toute autre entité qui serait touchée par cette tragédie à caractère multinational et qui répondrait à l’invitation du Premier Ministre à faire preuve de solidarité à l’endroit de nos concitoyens déportés, nous restons convaincus que les premiers secours et les suivis concertés seront une affirmation de support portée à nos frères victimes de diplomatie passive. Vu le nombre des apatrides qui dépasse 300,000, Operation Hope For Children Of Haiti propose un PLAN D’URBANISATION SPONTANEE ayant pour objectif initial en place des dispositifs d’hébergement temporaire d’urgence dans le but de les accueillir suivant un processus légal de pré-insertion avant une insertion sociale, familiale dans un espace et temps qui sera déterminé avec le temps suivant les moyens logistiques et autres. Ceci sera également défini entre les deux pays Haiti et la République Dominicaine afin d’éviter un exodus vers un point fixe sans plan de sortie. Ces directives seront adaptées au contexte d’assistance aux personnes déplacées pareil en temps de guerre ou catastrophes naturels et aux nouveaux besoins d’assistance de cette population. Vu ce nombre, les VILLAGES SPONTANÉS seront étendus sur au moins quatre zones frontalières ou autres suivant les directives du bureau de Domaine de la DGI centrale et de la Société Civile ou toute autre autorité ou institutions gouvernementales concernées, ou du secteur privé. En effet, face à cette vulnérabilité liée à la dépendance toujours plus grande à la situation économique du pays, et cette émergence de dimension psychologique pouvant affecter la population en générale, Operation Hope fait appel à tous ses partenaires haïtiens et étrangers, l’ensemble des acteurs, citoyens, associations, institutions, services publics et partenaires privé, pouvant créer un dispositif modulaire multiplicateur sur un périmètre transitoire spacieux pouvant accommoder un certain nombre de rapatriement d’expatriés suivant un système de rotation avec la participation active du Gouvernement Haïtien et spécialement les maires des communes et la police qui auront à jouer un rôle parallèle de sécurité et dans la réinsertion sociale des expatriés. Ainsi, pour effectivement atteindre cet objectif immédiat, Operation Hope vise à mettre en place une chaîne, distincte de secours médicalisés, pour une prise en charge matérielle, morale, éducationnelle, psychologique et sécuritaire des personnes concernées par cet événement. Le soutien de cette population sera planifié au niveau départemental et aussi communal respectivement dans les zones concernées. La mise en œuvre de ce plan restera la responsabilité du directeur des opérations qui s’assurera de sa réalisation et le cas échéant de sa coordination. Aussi, il est important que chacun se prépare à assurer un soutien de cette population en répondant à leurs besoins par des structures les plus polyvalentes possibles. Cependant, au-delà de la complexité de cette entreprise d’actions, il reste évident que les initiatives suivront une logique opérationnelle comme dans les cas de catastrophes naturels. _La prise en charge des rapatriés célibataires et leurs parents ou mariés et leurs familles, etc. et leur intégration initiale dans nos centres d’accueils VILLAGE HOPE. Cette méthode de prise en charge pourra être mise en œuvre soit en parallèle de la chaîne médicalisée de secours ou de manière totalement indépendante. _ L’aide à la réinsertion familiale et sociale. Chacun de ces modules peut rester indépendant des autres afin de préserver la diversité de ses champs d’actions. Pour autant, les moyens matériels et humains nécessaires à leur mise en œuvre seront mis en commun afin de s’adapter aux ressources locales qui sont extrêmement limitées. Les moyens consacrés à l’accueil et au réconfort seront également utilisés pour organiser une première structure d’hébergement. De plus, le fort besoin d’accueil des premiers temps diminuera au fur et à mesure de la prise en charge de cette population seulement dans la mesure que leur sortie concertée avec le gouvernement s’effectuera de façon structurée et spatiale. Tout ou partie des moyens qui seront initialement consacrés seront réaffectés simultanément à d’autres missions comme à l’assistance en aide matérielle ou à l’aide administrative. Le soutien logistique des équipes d’intervention en renfort seront occasionnellement pris en compte par ce dispositif. Operation Hope dans les premières semaines d’accueil des apatrides fournira des tentes comme abri initial. Les dispositifs d’hébergement provisoires que nous proposons seront utilisés temporairement pendant la construction simultanée de logements fiables et plus résistants au climat. Toutefois, Operation Hope souhaite suivant des réflexes de solidarité que les autorités publiques et civiles prendront en compte cette démarche de dispositif d’hébergement provisoire pour nos compatriotes en difficultés. Cette solidarité doit être justifiée par des actions promptes (en Ressources Humaines, ravitaillement, eau potable, constructions de latrines etc.,) et répétées sur une date indéfinie jusqu'à l’hébergement permanent ou/et la réinsertion sociale de ces familles infortunées. La prise en compte de l’ensemble des missions de soutien proposées par Operation Hope dès la constitution de la première structure du VILLAGE HOPE facilitera la montée en puissance vers des structures offertes. 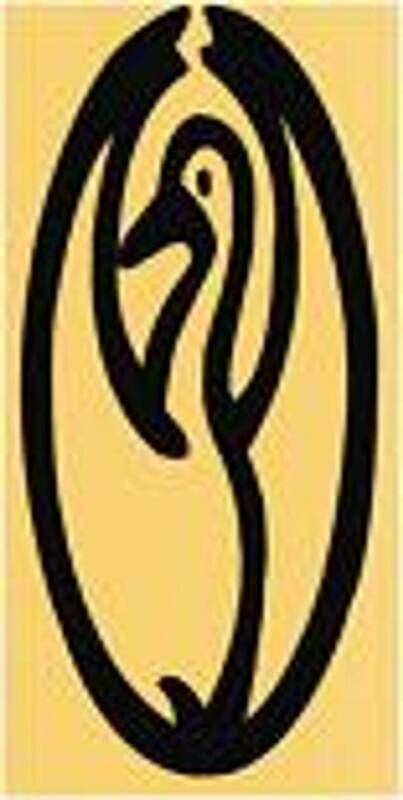 En effet, en cas de déploiement à caractère multiplicateur important sur le terrain vu le grand nombre des rapatriés, le premier VILLAGE HOPE évoluera progressivement d’une structure unique vers des structures semi permanentes et fonctionnelles relatives aux missions toutes ayant la capacité d’un accueil immédiat qui poursuivra trois objectifs essentiels: l’inventaire et l’identification, le réconfort initial et l’orientation. Le dénombrement et l’identification permettront, d’une part, d’établir les listes des personnes concernées, d’autre part, de fournir un premier bilan sur l’importance et la gravité des différentes situations individuelles et familiales. Cet inventaire permettra également de regrouper les renseignements par un échange d’informations entre la structure d’accueil et les autres acteurs tels que l’ONI, l’Archive National et autres. Cette approche organisée aura un impact psychologique sur chacune des personnes recensées. Elle lui donnera en effet le sentiment, après une épreuve si déstabilisatrice voire choquante, de réintégration dans une communauté organisée et accueillante dans laquelle chaque individu pourra se repositionner. Il ne s’agira donc pas d’un fondamental et austère recensement administratif des individus. Ce travail tiendra compte d’identifier toutes personnes qui présenteraient des difficultés particulières telles que (personnes âgées, personnes handicapées, femmes enceintes, enfants seuls, etc. ou même des personnes douteuses de détention de dossiers criminels), et celles qui disposeraient de compétences telles qu’elles pourraient même apporter une aide spécialisée à l’équipe dans le dispositif. A ce stage il sera absolument nécessaire qu’on veille à identifier et à isoler certaines personnes qui, par leur comportement, pourraient avoir des effets perturbateurs sur l’ensemble de la population recueillie d’où la nécessité d’un système d’agents de sécurité ou assistance de la police sur place à cet effet vu le nombre de cette population anticipée. Le premier réconfort visera en premier lieu à octroyer si besoin un sentiment de sécurité aux déportés. Une période d’échange et d’écoute sera aménagée afin de favoriser le partage émotionnel et le soutien mutuel. Cette mission sera assurée par des personnes sélectionnées pour leurs qualités relationnelles, formées et entraînées. Cette mission aura également pour objectif d’identifier et de guider toutes personnes qui nécessiteraient une référence d’urgence médico-psychologique et assister les familles en cas de décès. Un premier ravitaillement, sous forme d’un plat chaud sera distribué afin de fixer le cadre de l’accueil et de susciter le sentiment d’une première prise en charge efficace. La mise en place de ce ravitaillement peut être anticipée par une équipe de cuisiniers dans le cadre d’un restaurant communautaire préparé à cet effet au sein du VILLAGE HOPE. Le système d’information impliquera également la création d’un réseau d’échanges permanents entre les acteurs de la chaîne médicalisée des secours, service d’action sanitaire et sociale, la police, les organes de commandement et de coordination, les organes d’informations et la structure d’accueil. En fonction des moyens disponibles, des outils de communication seront mis à la disposition des populations pour entrer en contact avec leurs proches, éloignés géographiquement. Ceci permettra de les rassurer d’une reconnexion familiale et ou amicale soit en Haiti ou à la République Dominicaine dans un plus bref délai. De la même manière, l’implication des médias, en particulier des radios, et chaines de télévisions permettront de transmettre des informations collectives vers les proches, comme vers des autres acteurs intéressés à cette entreprise, recréant ainsi un lien social afin de garantir la cohérence et la pertinence des informations fournies par les différentes structures. Toutes les missions décrites précédemment sont systématiquement nécessaires et seront mises en place simultanément. Par conséquent, le dispositif se développera progressivement en fonction du niveau de réponse attendue. Afin de faciliter le travail de planification et d’assurer une cohérence entre les multiples acteurs du soutien, des valeurs seront fixées au niveau national pour quantifier les capacités mobilisables pour le soutien des déportés. La définition de cette grandeur de base homogène facilitera la gestion des ressources, tant pour les pourvoyeurs que pour les bénéficiaires. Elle se justifiera aussi compte tenu des difficultés que poseront des évaluations précises, des besoins requis pour le soutien de cette population. Dr. Paul Edouard Eddy Delaleu comme il l’avait fait sur les trottoirs de la Radio Caraïbes en Janvier 2010 déclenche encore un SOS à la nation et aux amis de la diaspora et de l’international de regarder le coté magnanime de cette tragédie et de faire preuve de vrais humanistes en portant mains fortes à cette population moralement, physiquement et psychologiquement en épreuve. La descendance des coupeurs de canne venus de La République d’Haïti et qui se sont établis, tant bien que mal, en République Dominicaine est décrétée depuis quelque temps par les autorités dominicaines persona non grata. Victimes de mauvais traitements et d’exactions plus d’un million de sans-papiers d’origine haïtienne sont sujets à l’expulsion du territoire dominicain vers Haïti. A un moment où la République d’Haïti connait toutes sortes de difficultés incluant l’organisation des élections, la forte densité de population dans la capitale et dans les villes de province, le chômage, et l’insécurité, cette nouvelle situation ne fait qu’aggraver le tableau de la misère et alourdir la marche vers le développement. Plusieurs organisations et institutions tentent de réfléchir sur la question en vue d’y apporter leur part de solution. Operation Hope for Children of Haïti (OHFCOH) s’est déjà positionnée et propose un plan d’accueil pour une prise de mesures d’urgence visant à organiser dans des conditions humaines appropriées le retour de ces compatriotes par la mise en place d’un dispositif dénommé «OPERASYON LAKAY». Les différentes discussions avec plusieurs observateurs concernés par la question ont permis d’entreprendre l’élaboration d’un plan d’urgence de rapatriement devant conduire, dans un deuxième temps, à la réinsertion socio-économique des rapatriés. Le plan sera développé sur une période de deux (2) ans et cinq (5) mois allant d’août 2015 à décembre 2017. Il est structuré de manière à distinguer trois catégories d’actions : (i) les actions humanitaires d’urgence à mettre immédiatement en œuvre jusqu’à la fin de l’année 2015; (ii) les actions prioritaires à court terme au cours de l’année 2016 et (iii) les actions de renforcement à moyen terme au cours de l’année 2017. La planification stratégique de la première phase de l’intervention indiquera les activités à entreprendre selon les échéanciers ainsi que les différents partenaires et responsables qui seront impliqués dans l’exécution du programme. La proposition établit clairement les modalités de coordination, de suivi et d’évaluation. OHFCOH a entrepris une campagne de mobilisation sociale qui a déjà gagné à sa cause plusieurs associations et particuliers qui ont manifesté matériellement leur conviction par rapport à la situation des rapatriés. C’est ainsi qu’une famille a mis à la disposition d’OHFCOH une vaste propriété de 125 hectares pour la construction des logements sociaux. Les termes de cet accord sont en annexe. Une discussion a déjà été entreprise avec M. Jerry Mourra, qui positivement a répondu á la campagne de mobilisation d’OHFCOH. Comme Président de la SHAISA (Société Haïtienne d’Agro Industrie, SA), M. Mourra, depuis plus de 40 ans travaille dans les secteurs Agro industrie et de l’agriculture. Egalement Vice-président de la SONAPA, SA (Société Nationale de Production Agricole, SA) M. Mourra a fait preuve d’intérêt et de connaissance dans le domaine agricole. Comme Fondateur et Président d’ANAPAAH (Association Nationale de Production Agricole pour l’Avancement de l’Agriculture Haïtienne), une organisation agricole de forte capacité de production de tomates pour exportation, il regroupe aujourd’hui plus de 64 associations qui sont affiliées avec un total de plus de 22,000 membres. Considéré comme le pilier de l’Agriculture, ANAPAAH a travaillé de concert avec le « Winner Project » sponsorisé par l’USAID. C’est ainsi que, dans un intérêt commun d’aider les rapatriés, M. Jerry Mourra a mis à la disposition d’OHFCOH une spacieuse propriété de 77 hectares qui servira de CENTRE D’ACCEUIL et de production agricole. Une entente et a été conclue entre OPERATION HOPE et ANAPAAH pour employer à temps partiel 6,000 rapatriés. Cette entente est officialisée dans un mémorandum d’accord en annexe. On a regular weekday at a gas station in Shada, Haiti, on the National road number 1 on my way to Delmas, I noticed a young man with at first I thought as a gigantic scar on the right side of his face. Without hesitation I got off my car and approached him directly on what could have been the cause. As I got closer I began to realize what it was but was curious and anxious as it is always to offer my help if it is at all possible. Of course, I identified myself and he became quite comfortable to tell me his story. He was very soft spoken, quiet and respectful. It all started about three years ago he told me with a small abscess that busted open to later create a small growth that urged him to seek medical attention. Upon recommendation he said, he had surgery that resulted in this massive kyloidal growth that disfigured the right side of his face. Socially he told me, he grew to accept his faith and was trying to live a normal life as he possibly could. I offered to help him without great promises and he kindly accepted as we exchanged telephone numbers. In the meantime, I tried to find a little bit more about him. Sonick is employed at a bakery in Shada and his considered a model worker, responsible and very credible. He works at different positions and is considered good at what he does. He has a girl friend and is one of 10 siblings and wishes to be married some day. I called Dr. Lesly Archer Operation Hope Medical Director whom for many years has been working side by side with me supporting my humanitarian activities. Always ready to serve, he agreed to see him for an evaluation and recommendations. 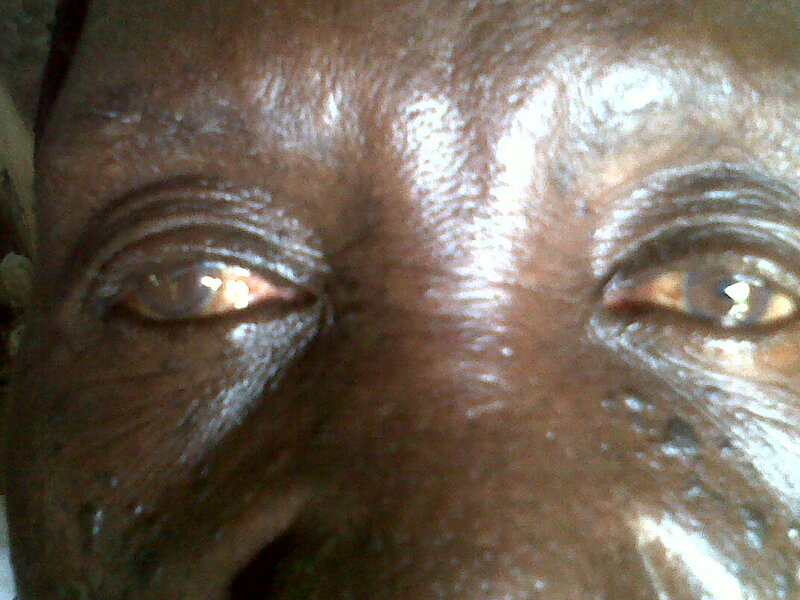 On Monday July 8 2013, I picked Sonick up and drove him to “Clinica”, Dr. Archer’s clinic in Petion Ville. A trip that could have lasted 30 minutes took us nearly three hours due to unthinkable traffic conditions. We took the time to chat and talked about anything and everything. He was very scared about the entire process however was extremely reassured and relaxed. Dr. Archer was not at all surprised as he confirmed with me the diagnostic to be a hypertrophic diagnostic, poly lobule at the right ear lobe. The good news was that Sonick could be operated on with minimal risks however the bad news was, we have no way to treat him post op. We are currently seeking sponsors able to assist us for a short trip to the US, Canada or any other country to help us help this young man gain a new outlook in life and total self-esteem. Concept to put into application a “FOOD BANK” program to benefit needy families initially in the metropolitan areas of the West Department and other target zones in other Departments of the Country through non-profit agencies/partners serving as distributors. This project has been conceived in Tabarre in collaboration with Operation Hope Partners and members and developed at the OHFCOH Head Quarters LOCATED in Marin, La Plaine in the commune of Croix des Bouquets. This project will be implemented in the metropolitan areas of the West Department and other target zones in other Departments of the Country. After several years of observation, Operation Hope members have come to realize the necessity to implement the “FOOD BANK” approach in order to assist needy families in a more human and systematic draw near. In the past we have seen and even joined different scattered distributions with no method in place to follow up or even produce substantiate reports to allow some form of continuity. In this loom, we wish to differentiate between a hot dish and a “sometime” kit designed to alleviate a moment in someone’s life. As a non-profit, charitable organization; we plan to distribute mostly donated food to a wide variety of agency members and partners who in turn will distribute the food to needy people whose families have been screened and registered to our data base. We will solicit the food from the largest sources of food like: for-profit growers, manufacturers, distributors and retailers who in the normal course of business have excess food that they cannot sell. After categorization and confirmation of our stock , the food will be distributed to our non-profit community agency members, including but not limited to food pantries, soup kitchens, homeless camps, orphanages, and schools; providing each recipient has been screened and registered. A dream contrarily to the popular belief is never too small. God in his almighty power somehow inspires us every day, it is up to us to believe, interpret and act. Reverend Ecclesias Donatien, a friend of mine for many years had such a small dream or maybe a revelation that he dared to believe and acted upon it. His story began sometimes in 1992, 2 years before the inception of Operation Hope For Children Of Haiti with which some years later he and I have partnered and engaged in multiple humanitarian activities in the north and other parts of the country. In a dark winter night in January 1992, the stars and the moon were hidden by gloomy clouds over the northern part of Haiti more precisely over the historic city of Cap Haitian. Reverend Ecclesias plunged into prayer in that evening commemorating his forty third anniversary as his usual nightly practice. After a good hour into deep communication with the Lord, came suddenly this revelation in which he was ordered by God to build a Tabernacle. Without hesitation or question, he invested in a small parcel of land and began his godly mission under a few mango trees with only three church members. His perseverance against all odds and his beliefs in God, gave him the strength to persevere and never weaken to achieve what he has achieved today, all in the name of Jesus. As late in this century, it may be a surprise to many that prayers and fasting were rare subjects and may have been considered taboo in an environment whose members have lived centuries of superstition and supernatural beliefs. Reverend Ecclesias was resolute as he, without questions allowed himself to feel the Holy Spirit blowing on him the wind of the direction showing him step by step the path of the Tabernacle Church of Praise. It was in essence a simple task for a true believer. God ordered and he obeyed, everybody was bewildered as God continues to create his miracle. The Tabernacle became a motivation for all. Just like me, Rev. Ecclesias don’t take pleasure bragging in our humanitarian accomplishments however, he has something that I don’t have, something that all men wished to have: the gift of prayer, unfortunately that does not come so easy. When I asked him what was the key for his success, he simply replied: “One husband and one wife”. That answer, as I remember it today, made me shed lots of tears because I believe and know deep in my heart that is where I failed… I prayed God for his forgiveness as Reverend Ecclesias prayed for me. As members of the church, Dr. Reynald Janvier and I for quite a while were involved in different projects outside the house of worship but were watching with a close attention to the improvement and construction completion the Tabernacle urgently neede d. Reverend Ecclesias was on several occasions lied to, mislead to by many national and international visitors promising to at least put a most needed roof over more than 10,000 worshippers whom often and always are trampled by heavy rains and scorching suns. Realizing the unspoken suffering of so many, realizing the humble wish of this friend, Reverend Ecclesias shepherd of his faithful flock; we have engaged and embraced this challenging project to do everything within the power anointed in us to commit Operation Hope and the Tabernacle Church of Praise to build this ROOF “The Covering”, the Tabernacle 10,000 faithful urgently needed. Sur la Clinique Mobile réalisée à Moulin, 7éme Section de la commune de Gros Morne; Département de l’Artibonite. Notre première remarque sur la zone était l’absence totale d’infrastructures pour commencer avec les routes d’accès, électricité et ondes téléphoniques sans mentionner l’absence d’écoles, centres de santé qui sont toutes en elles-mêmes les bases essentielles à l’évolution et l’essence même du futur des progénitures de la zone. En effet, au niveau de santé, la population est totalement accablée, sans recours et laissée pour compte. La condition de la route ou plutôt la condition de la route d’accès qui n’est autre que la Rivière Moulin ou Rivière Lormond était réellement inaccessible et décourageante. Notre détermination était plus forte que les adversités telle est toujours notre promesse à une population en détresse et notre mot à nos hôtes. Cette condition, celle de la route, nous avait forcés à perdre le premier jo ur. Aussitôt arrivés, nous nous sommes installés et étions prêts pour une journée excessivement prise vue la mobilisation et l’anticipation d’une organisation hôtesse FONDAMAC qui nous avait garantie un minimum de plus de cinq cent patients. Des 6 heures le lendemain, une foule assoiffée de soins médicaux était déjà présente et jouait pour être les premiers à être examinés par nos médecins. Notre staff administratif et médical a examiné prés de 360 patients. En réalité, on espérait plus de 500 et nous étions prêts et équipés pour servir 1000 patients. D’après le dernier recensement rapporté par un Agent de Santé de Moulin, Mr. Calixte Joseph Charles Renoce, la population a un effectif de 15,000 habitants. Le total de patients examinés est égal à un pourcentage de 0.024 % qui est un exemple représentatif acceptable pour en tirer des conclusions importantes sur la condition de vie des habitants de la zone. A recently new set of young medical Haitian Staff Volunteers went on their very first Mobile Clinic with Operation Hope to Cap Haitien for a 3 Day Mobile Clinic from July 19 to July 23 2011. We had to cut the trip short by one day due to lack of patients as we were estimating to see an average of 500 a day. We saw a total of 304 patients the first day and only 36 on the second day. We later found out that the people of the area were misleading due to a non intentional racially motivated message. The people from this community were told that they will be visited by a Foreign Medical Staff and by that they believed they were going to be seen by a “White Medical Team”. It was certainly something we have heard before but never experienced. So, we have mu ch more work to do as we continue working with these communities and working with each other. The level of care they need to know is the same regardless of the color of the provider. They also need to know as well that Haitians do care for Haitians and that not all blacks are Haitians. As far as the 340 people we have seen and treated, they were very pleased and wishful of a follow up return to the area. Our team had a wonderful time serving the people of the community and was very accommodating and willing to work and live in any condition. We had the time to visit Milo a historic place in Haitian History and drove on the northern boulevard of the city with a dazzling ocean view. We would like to thank Bishop Isaac Albert and Pastor Monaster Fenelon for their kind assistance in accommodation and a space to work on their church ground. Our thanks go as well to the Operation Hope Representatives in the North for the coordination of the visit, mainly Louis Austin and Genal Robillard. engaged in a violent tango dance with sudden neighborhood screams of terror. I heard some of my windows shattering, tree branches cracking, falling and splashing in puddles that accumulated faster than usual under normal rainy conditions. Like a child for a brief moment, I was fascinated by the dancing trees in a moon like sky background, even more mesmerized by the sounds of the wind that was engaged in a philharmonic introduction of suspense with warning tambour rolls of the worse to come. I got out of my stupor and began to think about those less fortunate living in tarp, tents or temporary shelters. Earlier on, I sent warning text messages to most of my collaborators and began to send new ones urging them to be cautious and safe until my phone was completely dis charged. Unfortunately in a country like Haiti, power outage is something we are accustomed to and having no electricity during this crisis was not at all a surprise and was in fact the norm. In the safety of our modest Operation Hope Headquarters, I could not find any comfort as the wind was felt strongly inside through now what were opened windows. I thought for a moment of the January 12, 2010 earthquake …, being caught somewhere and nowhere to go, hoping and praying for a miracle. That moment of sheer terror lasted forever as strangely enough it became for that night; a way of life, while I waited for day light until everything return to a temporary calmness with the rain still going at different rate of falls. The three volunteers at the Headquarters were all okay. We began to assess the damages and realized they were minor with the exception of our pharmacy and medication stockroom that were literally destroyed. The windows were shattered, shelves on the floor with at least an estimated 80% of meds and medical supplies broken or wet. After a quick final inspection of the home and the yard, we took our gear and headed out to different camps in Croix des Bouquets, Tabarre and Delmas. The damage by the hurricane Isaac was evident wherever we went. It was a relief to know that at least material losses were way greater than human losses. The “Rivière Grise” (Gray River), in my estim ation was as high as 50 feet touching almost the bottom rails of the bridge. It runs East-West of the country starting somewhere in Bassin General near the Dominican Republic border and was raging, hurling and taking with it everything that was daring to be on its way especially from West of Marin to “Route Neuf”. The devastation there was greater than any other areas of the metropolitan neighborhood with loss of homes, livestock and some casualties. I and some police officers immediately were engaged in highway safety and bridge control with the fear of sudden collapse of the “”Croix des Missions” bridge. Some young and daring volunteers joined us until the bridge was finally under control and safe for crossing. Several camps we visited were destroyed with little or no casualties. We wish to thank our collaborators, “Delaleu’s Friends” and Operation Hope Volunteers for helping one another, the vulnerable citizens of Haiti, and face of what could have been another national tragedy. By: Dr. Eddy Delaleu, D.D. 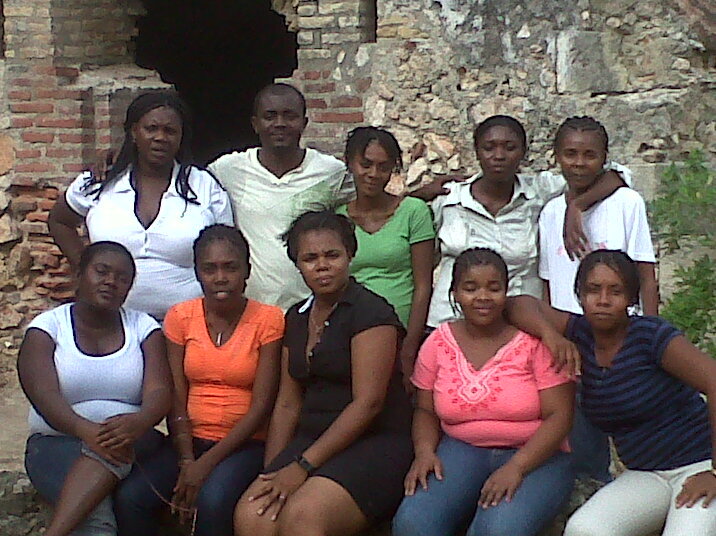 For the past two years and half, I came in contact with so many young Haitian medical and nursing volunteers. The time spent with them has been an experience of a life time especially with those featuring in this report. The January 12th 2010 earthquake, that killed over 300,000 people and destroyed the very little infrastructures that existed in the Capital, has brought the Haitian people to a rude awakening. 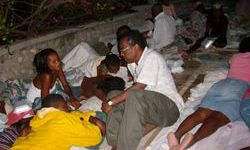 Resulting from this event, many Haitians started to volunteer and offered their services to their fellow sisters and brothers where ever was a need. Historically, Volunteering is not widely seen in a country like Haiti, where the level of unemployment is so high. I have been very fortunate to work with so many medical students and nursing Haitian Volunteers for the past two years and half. One Medical Student Volunteer in particular I would like to recognize is Dr. Magdala Alceus who offered her services immediately following the earthquake at the Operation Hope Medical Clinic one of the first emergency clinics to open to serve the victims of this unfortunate event, working together and adjacent to the Adventist Hospital in Diquini. Dr. Magdala Alceus worked tirelessly under unbelievable pressure and conditions one could never imagine. Her, along with so many of courageous young volunteers like Dr. Jeromanie Dameus, Dr. Johanne Cajuste, Dr. Marie Ketty Charles, Dr. Barbara Michel, Dr. Jean Louis Robenson, Dr. Anthony Forestal and many more medical students, have been to so many Mobile Clinics throughout the country like Lexi in Cote de Fer, Cap Haitian in the North, Fort Liberté in the North East and one in particular we will never forget; Moulin, 7th Section of the commune of Gros Morne in the Artibonite Department, where on our return after caring for the community for three days, we were stock in a river bank in quick sands for 24 hours (The only way to and from Moulin/See the Moulin Report below). We also would like to recognize some of our nurse volunteers like Miss Judith Stimphil, Miss Guerda Nicoleau, Miss Myriame Fleurio and many more who steadfast despite all challenges and difficulties encountered during our Mobile Clinic outings. The services these young volunteers have provided and continue to provide to their country need to be recognized. During the time they have spent with me, I have seen their professionalism at their peak and they have never ceased to demonstrated leadership, charisma and humor in extreme and difficult conditions. On behalf of Operation Hope and the country Haiti, I know they love so much; I want to thank them for all and everything they have done. I wish them continuous success and wisdom in their future professional endeavors. All the way from Northern and Southern California (Alturas and Ventura to be more specific) to Haiti on a Medical Mission on a land in great need of good hearted people like Dr. Matt Farson, Shirley Collins Clay RN, Joy Evans Teacher, Marie Therese Jean Pierre RN, and Stacey Jean Pierre RN. For Stacey and Marie Therese, that was déjà vue as they continue to return and support Operation Hope’s mission as well as encouraging others to join. One can imagine how overwhelming it was for Shirley and Joy on their first visit to Haiti, to witness a striking resilience of a people full of hope. Their inability to help as many as they could on a short mission trip and their wondering mind on how long then it will take to help even a small community of deprived children was to them the hardest thing to accept to leave with. Sometimes we have to learn to temporarily change climate to relieve the stress of many mission days as they did at the Operation Hope HQ in Marin and on a Southern Beach of the country after a 3 day Mobile Clinic in Artibonite, enjoying the simplest things many of us take for granted; drinking fresh coconut juice, barbecued fish or simply a walk on the sandy beach. We strongly recommend to all volunteers to do the same wherever they may go in the world. Returning home to your family and friends should not be a psychological burden of only negative images and painful memories it should be a joyful feeling knowing that you have played your role however small it may be, you have touched and helped someone who will be forever grateful. It is our hope that this wonderful team from Southern and Northern California will join us again in a not too distant future. 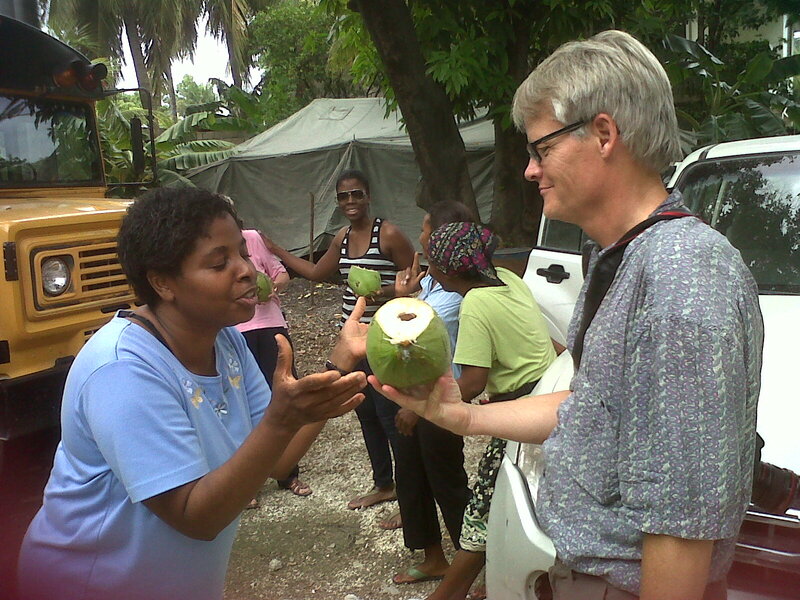 Operation Hope was blessed by a visit of a small delegation from Sheboygan, Wisconsin. A visit somewhat expected and wished for that brought us so much tearful joy as we celebrated the life of our departed friend Wendy Swedberg, a true American with so much love for Haiti.We were honored to have Wendy’s family with us at our base Camp in Marin, La Plaine Haiti. They were Nick and Faedra, (Wendy’s daughter and son in law), Valorie Schultz, Nan Minster, Rachel Minster and Deb Range. They were accompanied by Pastor Sainclair an old friend with whom we worked in the past at Marche Canard in the Central Plateau of Haiti, on an overnight Mobil Clinic mission. Wendy, that wonderful, cheerful and loving human being will be forever remembered as compassionate and a true optimist whose sign manifested always where and when other people thought there was no hope. Wendy, of course was the object of that visit and without a doubt was in everybody’s mind. Though I do not have a true recollection of her, but at the site of her picture and her majestic beautiful smile, my heart went racing as if I have met and worked with her before. This is a true and unexplainable feeling I experienced and for some unexplained reason I wanted to remain convinced that we did indeed meet and work together some times after the January 12, 2010 earthquake that left such a physical and psychological scar on the heart of every Haitian and friends of Haiti. This visit at our humble base camp revitalized my commitment to continue this work I started some seventeen years ago. Deb’s speech to the nursing staff on duty, on behalf of the family, has linked together Wendy’s ardor and that of the new young volunteers which we hope to begin compensate by August 2011. I was particularly fascinated with Faedra’s connection with her mom. Through her eyes and through h er genuine smile and laughter, I saw Wendy. For those moments, I could feel her spirit among us as we all experienced so much joy and goose bumps speaking of her and the work she enjoyed so much. I found Rick, Faedra’s husband, to be a quiet man who is very supportive, caring and a loving spouse. He was in my opinion a bit shocked by the despair and the slow beginning of a reconstruction process that should have taken place at least a year ago. Haiti as I see it through his eyes and those of Faedra ‘s still remains a beautiful country way beyond the destruction, the rubbles, the garbage, the polluted environment and the striking poverty and living condition of a resigned people. Oh! What a cheerful friend Valorie is. She was so charming and so bubbly. Her never mind hand gestures in the air as she speaks, were so natural that they created so much laughter. And what about Rachel who listened with so much attention as if she was reliving Wendy’s short passage on this land she loved so much. I could not stop myself from noticing how hard she was trying to withstand those joyful tears from pouring despite her beautiful smile behind which she tried to screen her pain. Nan reminded me in one of her e-mails that “Wendy is now dancing with Jesus”. As we all walked Operation Hope shaded yard with the wind blowing and fanning our mango trees, I thought of her skipping, hoping, singing and amused. There was a true feeling of Wendy’s presence in the air and a true sentiment of her passion as the wind whistles through the trees. There was a sense of peace and serenity as we bonded together in prayer before we said good bye. I had the opportunity to work with Cindy Gallo a Registered Nurse, good friend of Wendy, who shared with me Wendy’s enthusiasm and her love for Haiti. She approached me with the idea of naming the Pharmacy after Wendy which I thought was a wonderful idea. The more we spoke of her, the more we learn to love her and more Wendy became a household name. 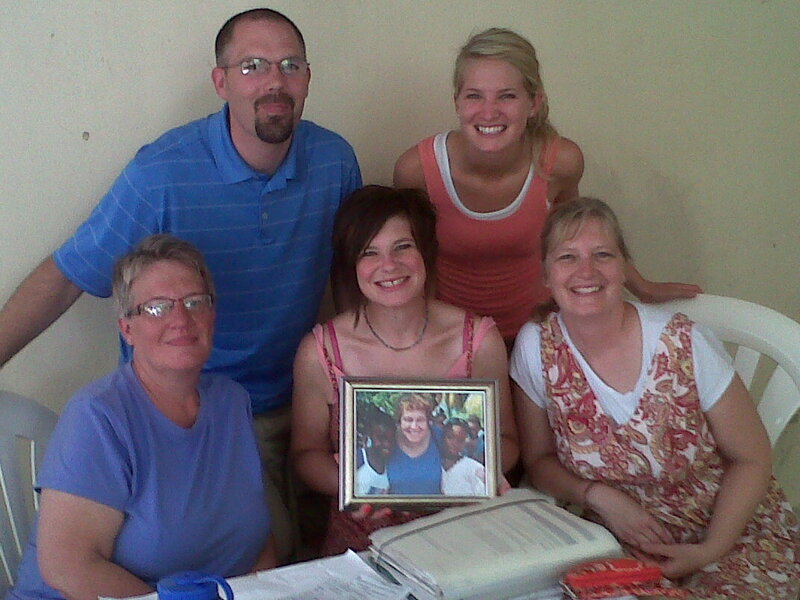 In her memory, we named the Clinic “Operation Hope/Wendy’s Clinic”. It is our buoyant prayer that her spirit will continue to dance with Jesus and inspire many others to learn to care for the needy while she continues to watch over her family, her friends and the people of Haiti she cared so much for. On behalf of “Operation Hope / Wendy’s Clinic”, I would like to thank Wendy’s husband, Richard Seidlitz, for his patience, love and understanding in sharing openly and unselfishly Wendy’s passion for the people of Haiti. I would like also to take this opportunity to thank him for his generous donation and continuous support. Our thanks go also to all Wendy’s friends and family members who sent in their cash donation along with those well crafted beautiful children clothes and dolls. We will remember Wendy as we celebrate her life. Recently, we were visited by Deb Range with whom we spent a wonderful time while we remembered the life of a very good friend. One particular subject Deb discussed with us was: “UNE VIE RENOUVELEE”, a healing program based on 8 principles from the “Beatitudes”; a balanced biblical program designed to overcome our pains, our bad habits and complexes. This is a program she had the opportunity to start in the “Plateau Central” of Haiti with a group of pastors whom she hopes will take this knowledge to train their church members, friends and families. As I glanced to the book she graciously gave me, I quickly realized how this book could help so many of us grow spiritually and especially I, as I faced new challenges every day. She further mentioned the need for bibles, preferably in the French or Creole languages. It is my hope through this article we will find donors willing to donate as many as they possibly can. The people of Haiti are thirsty for love and spiritual independence. BIBLE STUDY as an educational base along with VOCATIONAL TRAINING could be a great step towards spiritual and economic freedom. 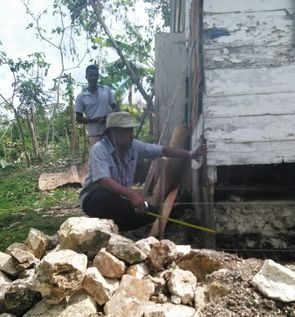 Operation Hope is appealing to all who can and willing to teach and supply the following classes: BIBLE STUDY, CARPENTRY, PLUMBING and ELECTRICITY to join our Volunteer Bible and Vocational Team. Consider volunteering for a week or two, your services are greatly needed. Our trip, to Fort Liberté in the North East of Haiti, was delayed due to the late arrival from the US of two VIP providers; Jenny Delaleu ANPN/ANPC, Operation Hope Executive Secretary and Joanne Delaleu ANPC/ANPC, Operation Hope Coordinator of Affairs; both daughters of Operation Hope Founder and President Dr. Eddy Delaleu D.D. It was in essence a Medical Mission filled with love and emotion to watch the father daughters interact as we travelled the almost 9 hour trip to Fort Liberté. Dr. Eddy, early on, decided not to travel the mountains of “Pilboro” at night for security and safety reasons. We made a rest stop in Gonaives around 8:00 PM where we had a chance to shower and sleep for ab out 5 hours. Wake up call was at 3:00 AM and within an hour we were on the roads heading for Fort Liberté. Travel the mountains at sunrise was graciously amazing. There was a sense of peace and purity not found in the main cities of this impoverished country. Every site was stunning with an everlasting imprints of sweet memories. We watched the landscape change as we travelled the different departments and communes to finally arrive at Fort Liberté around 10:30 AM where we found close to 100 patients awaiting our mobile clinic medical staff. We set up immediately in an elementary school and without wasting any time, we began working. The sleeping conditions there were not the best however, we were happy to have a place to sleep. As we were told, wanting to serve requires that we leave behind all our biases, prejudices and forget our lifestyles. Serving is to have the ability to be willing to adapt to any situation and we did just that without any complaints. The second day was considered an extremely light day with only 54 patients. Dr. Eddy took advantage of the moment to tour the city of Fort Liberté which we found to be filled with history. We specially spent some times visiting the ruins of Fort Saint Joseph with an outstanding three sided ocean view and even had time to take a plunge in the clear blue tropical waters of this beautiful city. Most of the medical cases were similar to what we have seen throughout the country, anywhere from chronic conditions like diabetes, hyper tensions to minor ailment to heartburns, skin rashes and cough. We also observed some babies who would be considered extremely ill in the US but were considered a little sick there. We mostly provided medications for acute and chronic problems with follow up with Dr. Leslie Archer, our Medical Director or referrals to nearest hospitals, for the most serious conditions. When better organized and fully supplies, we are sure that we would be able to help many more thousands of the Haitians people in far to reach areas of the country. We were very impressed but not surprised to witness our mobile clinic staff showing so much love and compassion to the locals that are probably not accustoms to being treated like that. Dr. Eddy and his daughters had times to interact and play games with the kids to name a few like “Gwo Lombrik, Ti Lombrik and Ti Krass Lombrik”(Named after the size of their herniated umbilical). This initiative by Operation Hope to conduct these mobile clinics is found to be of a great importance to reach communities that are not near emergency aid clinics or hospitals. Going back to Port-au-Prince was as beautiful as when we were headed north east however, we were extremely tired but happy we got to be part of a great Medical Mission with Operation Hope. NOTE : La majorité des patients souffrent de multiples maux. Moulin comme tant d’autres habitations du pays est excessivement ravagée par la pauvreté. N’était-ce pour une terre fertile, cette population serait totalement anéantie par la faim et la sécheresse. La majorité des habitants sont des agriculteurs et petits entrepreneurs. Ils voyagent à dos d’ânes ou mules jusqu'à Gros Morne pour vendre leurs produits. Ils sont totalement déconnectés avec le monde extérieur à moins qu’ils voyagent des heures dans une autre zone en quête d’ondes téléphoniques. Ces habitants, malgré leur peine et leur pauvreté alarmante, sont reconnaissants et aimables. La grande différence entre Moulin et d’autres habitations est apparemment une condition épidémiologique créée p ar une source inconnue qui a un impact immense sur les yeux de ces habitants. La plus grande majorité des vieux ont déjà perdu la vue dans au moins un œil et risquent d’être aveugles dans un temps pas trop lointain. La nouvelle génération montre déjà cette symptomatique qui est en elle-même une triste réalité et inacceptable. 4- Construction d’un Centre de Santé équipé d’un dortoir pour 10 personnes. 6- Etablir un point de référence médicale pour les soins en urgence entre Moulin et Gros Morne ou Gonaïves. 8- Employer deux infirmières, une auxiliaire de la zone, un médecin et un dentiste avec deux membres administratifs. Ou établir une rotation hebdomadaire d’un staff administratif et médical. Success through Teamwork, Partnership and Faith, a Commitment Above Self. With a combined experience of 24 years, OHFCOH and CHOMEG have been tirelessly committed to the health and educational challenge of Haiti. With the acquisition of 3 buildings two in Mais Gate one of which identified as ?Building 1? is housing the ?Centre Hospitalier? with 18 bed capacity equipped with an Operating Room and one of our schools with 300 enrolled students. The second ?Building 2? right across, offers the following medical services: OBGYN, DENTAL, LAB and PEDIATRICS both in proximity to the Port-au-Prince International airport where we will be ready to provide care to our visiting Diaspora in case of an emergency. The third building located in Carrefour with an enrolment of 250 students from which 69 students graduated recently this December 2013. Our future Campus site is located at Source Matelas just before Cabaret on the National Route # 1 and a retreat waterfront site located South off Leogane. For the past 20 years we have had the opportunity to travel the entire island of Haiti where we have offered Humanitarian assistance and Medical Clinics in the most remote areas. Following the earthquake of 2010, we were one of the first organizations to set up an Urgent Medical Clinic in Diquini Carrefour working with thousands of Medical Volunteers where we provided urgent care to over 180,000 people. As of today, we have used our own resources with the help of friends and family members however, the commitment being so great we think it's time that we reach out to you to help us concretize this dream. 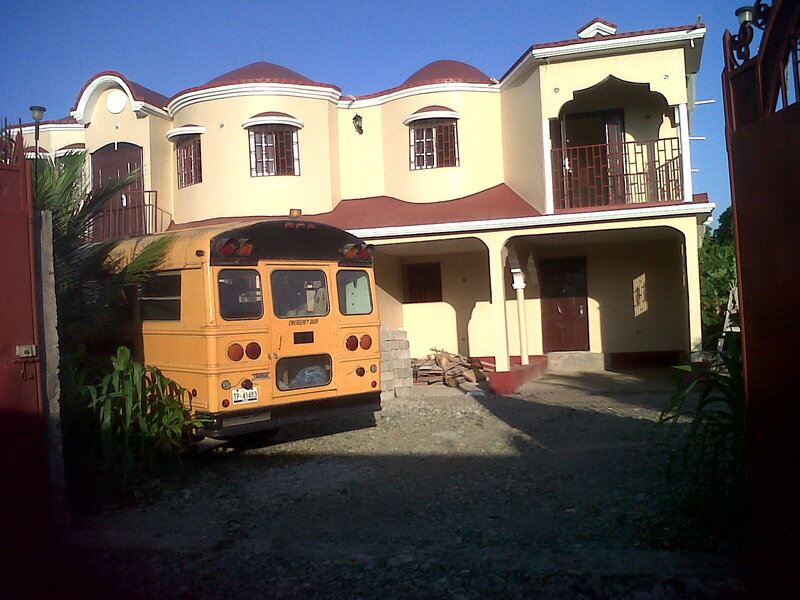 Our mission is to serve individual children and the Haitian youth and the population at large. We found our strength in our beliefs, our diversity, our experiences and our hope for a better tomorrow. Your Tax Deductible donation will go a long way in helping us concretize this dream. achieve lasting victories over striking poverty plaguing Cité Soleil, Grande Ravine, Belair and so many other areas of Haiti. Founded in 1994, Operation Hope began its crusade from a home office and a garage space in Long Island, providing relief to underprivileged children in our local communities and abroad with a special interest to homeless children of Haiti. Through repeated clothing and food drives, Operation Hope has been able to make incremental differences in the lives of many young boys and girls. In January 1997, Operation Hope became a federally recognized charity in the U.S. and was granted the status of a non-for-profit organization and soon became a trusted vehicle for the kindness and openhandedness of many caring individuals like you. 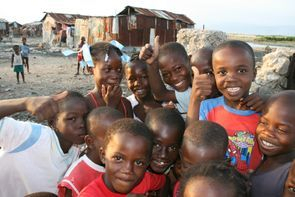 Ten years later in 2007, Operation Hope for Children of Haiti was granted legal status in Haiti as a Non Governmental Organization. Donations made to Operation Hope are tax-deductible to the extent permitted by law. Operation Hope is a nonprofit 501(c) (3) organization. 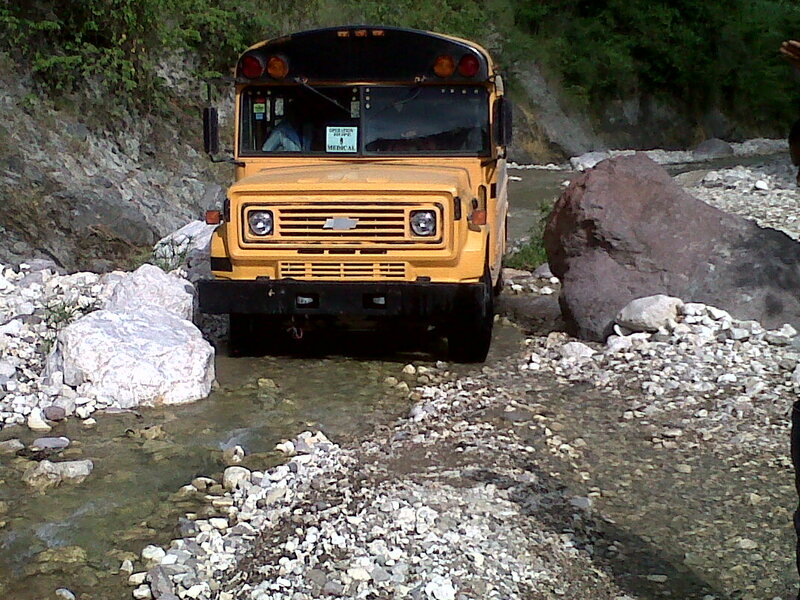 Operation Hope is also recognized in Haiti and has been granted the status of a Non Governmental Organization (NGO). Operation Hope's mission is to provide food, treated water, shelter, health care and educational programs to underprivileged street children of Haiti, disadvantaged children of our immediate communities, orphans and forgotten children of the poorest of the poor areas such as Cité Soleil, Belair, Grande Ravine and more, by promoting their well being, health and basic education needs while preparing them to become self supporting and productive members of society. Service and Commitment Above Self! A moment of sharing and helping a child, is a joy of a life time. In conjunction with our Operation Hope/CHOMEG HOSPITAL and NURSING SCHOOL Project, a pharmacy is scheduled to open in June 2014 at Mais Gate in our main building "1". It is our hope that members and friends will continue to support our programs while we are constantly looking for ways to help the population at large. On February 24/2014, Dr. Eddy Delaleu met Mr. Delva, Mr. Jonas and Mrs. Jean in a four day long meeting on the Operation Hope/CHOMEG HOSPITAL NURSING SCHOOL Project. For over four years they have been working tirelessly to get to this point where the need to open a CENTRE HOSPITALIER with State of the Art Equipment and to take the Nursing School to a higher National and International standard. Dr. Delaleu wishes to thank all the friends and supporters of such program he was honored to meet and is especially thankful for the wonderful advice, dinners and tea parties he enjoyed in a friendship and patriotic environment. Operation Hope and its affiliates, would like to recognize Reverend Ecclesias Donatien as the man of the year. A friend of nearly 18 years isa model for all of us here and for many he serves days and nights, seven days a week at the Church Tabernacle of Praise. Born in January 15, 1949 in St. Louis du Nord Haiti, he completed his primary and secondary schools in La Pointe, Port-de-Paix in the North West Department of Haiti. He often referred to Esaie 6:8 as his calling. 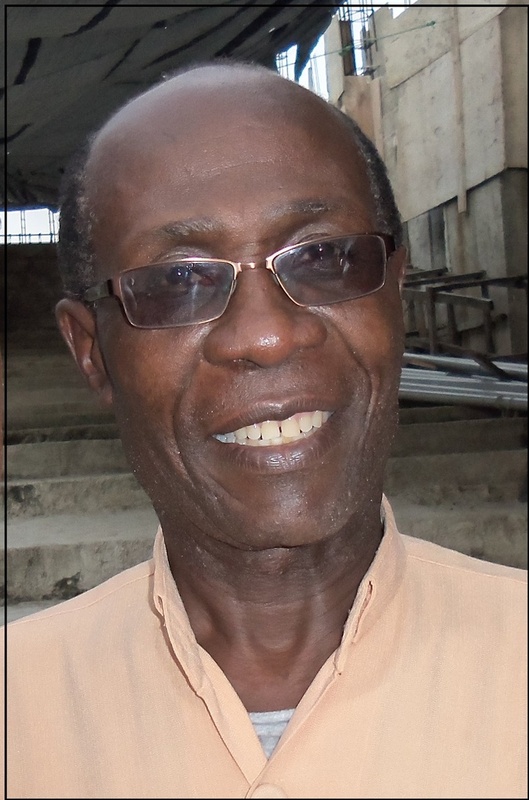 That biblical passage impacted his spiritual life in such a way that he was guided to a Theological school in Port-au-Prince where he graduated in 1974. His famous vision on his birthday on January 15, 1992 lead him from a church of 3 members under mango tree to a Tabernacle with a capacity of seating near 10,000 parishioners. May God continue to pour his gifts of love, prayers, healings and many more on him, the cchurchand his family. Our Pharmacy has been severely destroyed by the last most recent hurricanes: ISAAC and SANDY. We lost most of our meds and medical supplies. We are asking all of you who are able to help us resuply to do so at your earliest convenience. Additionally we need more volunteers on a rotation basis to assist us in our weekly mobile clinics. Please contact us or contact Dr. Eddy Delaleu at: eddydelaleu@hotmail.com. The Clinic is now open to the public from Monday to Saturday 8:00 AM to 5:00 PM. We will go full schedule with our Mobile Clinics 3 days a week, beginning June 1, 2011. For the Medical Volunteers wishing to join us, please come prepared to serve while you will have a chance to travel the country's side and experience Haiti's beauty beyond the rubbles and striking poverty. Wendy's Clinic is now temporary closed as the need for medical care has decreased in the area. We therefore are unable financially and logistically to keep a permanet staff on schedule. The Clinic will remain closed until further notice. In the mean time, OPERATION HOPE MOBILE CLINICS are contnuing with 2 Mobile Cliinics a week deserving needy communities between the West Department and the Artibonite region. 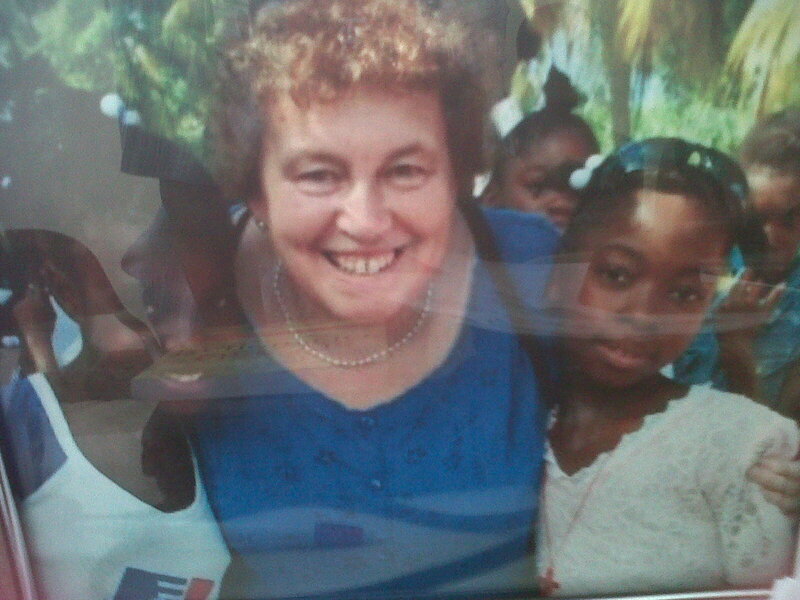 Marie Carmelle Bienaime has been a volunteer working with us for over 18 years. We would like to take this opportunity to thank her for her unselfish services that she never ceased to provide day or night as the need calls for. Carmelle is serving at all capacity such as: Emergency Relief Worker, Chief Hostess and Chef to name a few. Her role has been indispensable for Operation Hope throughout the years. 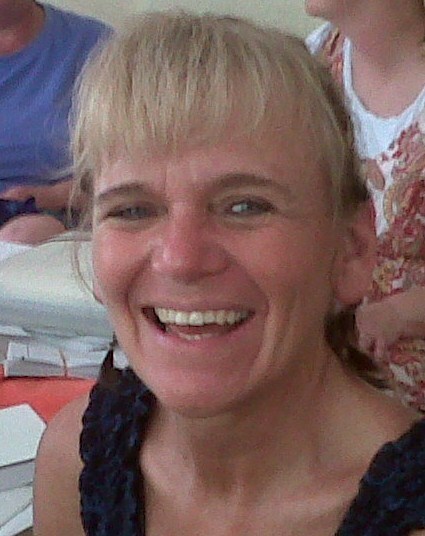 She has been strongly recommended by her peers and foreign volunteers for Volunteer of the year.